Wow. That didn't take long. World of Warcraft expansion Mists of Pandaria isn't even out yet for most people (it unlocks in the US a few hours), but already it looks like we've got someone breaking through to hit the game's new ceiling of Level 90. 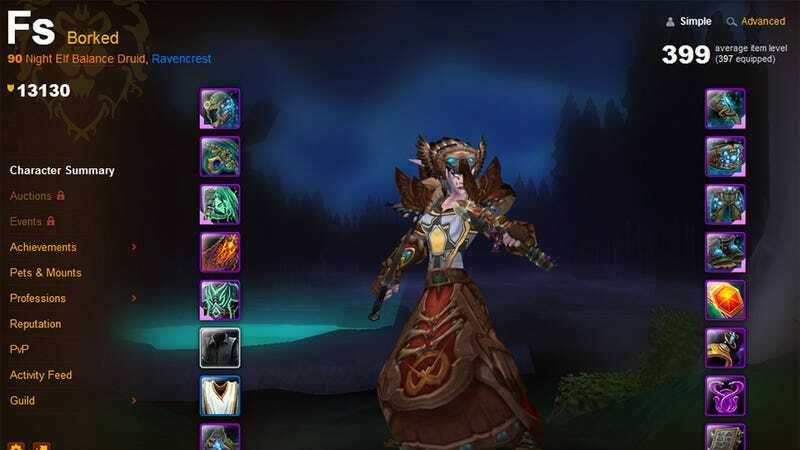 According to data-mining site Guildox, that someone is FS, from Ravencrest-EU, whose Night Elf Druid is showing, as you can see above in a cap from Battle.net, Level 90. Exercise a little caution, though: to have gone up five levels in only a few hours after the expansion's European release means we've got to wait and see whether it was done properly, or as the result of an exploit (which will see them knocked back down).